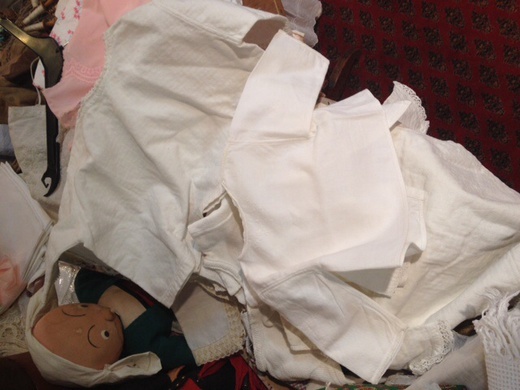 We spotted a little stack of nice, plain shirts pour bebe In an antiques store outside Cavaillon the other day. They're just cotton and tie in the back. Some had little crocheted collars, but otherwise they were pretty simple, unlike just about every piece of lacey 19th c bebe froufrou I've ever seen around here.